In my experience, getting up early is for old people. The older you get, the less sleep you need so you’re up at the crack of dawn to exercise or work or do whatever old people do when they’re awake before they should be. For some reason, old people also seem to go to bed early, too. Never been able to figure it out. Today, I simulated fogey-dom and joined my elders in rising before the sun had crested the horizon. That’s because I spent the night on a sleeper bus going from Nha Trang to Hoi An. We boarded at 7:30 p.m. and most people had zonked out after a rest stop an hour and a half later. Like geriatrics, we were up at 5 a.m. because we’d gone to bed early and because the sun was already pounding us through the buses large windows. Night buses in Vietnam tend to arrive at their destinations before 7 a.m. which is in keeping with the local custom of early to bed and early to rise. Guess they figure there’s no point in arriving at 9 or 10 in the morning. It’d be the equivalent of arriving at noon for us Americans—you’d be getting in 5 hours into the normal work day. If you want to accomplish anything in your day, best to be there when business starts at six in the morning. 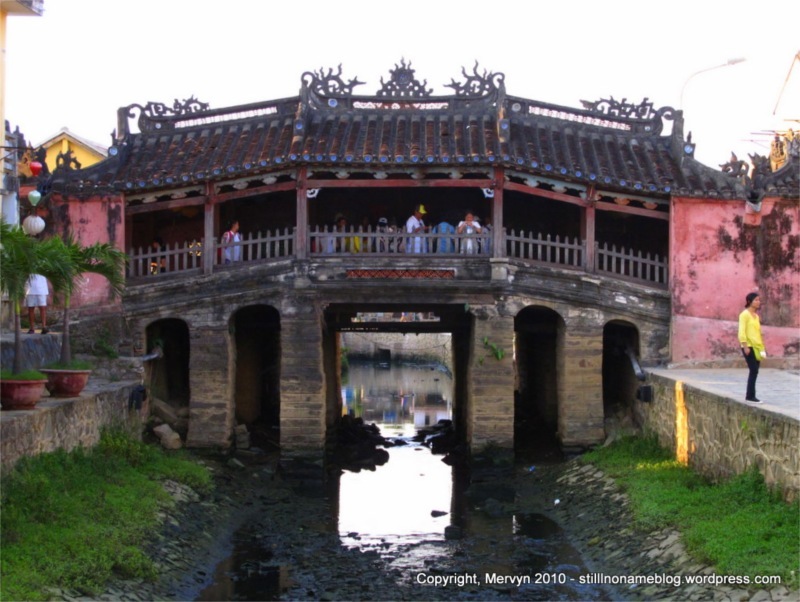 When we arrived, I found a hotel and decided to take my momentum and go straight into a self-guided tour of the “Old Town” portion of Hoi An. The city is a preservation site geared towards visiting tourists. It’s also the place where visitors stop to buy inexpensive custom-tailored clothes. Its primary commerce, though, is tourism around a UNESCO World Heritage site. 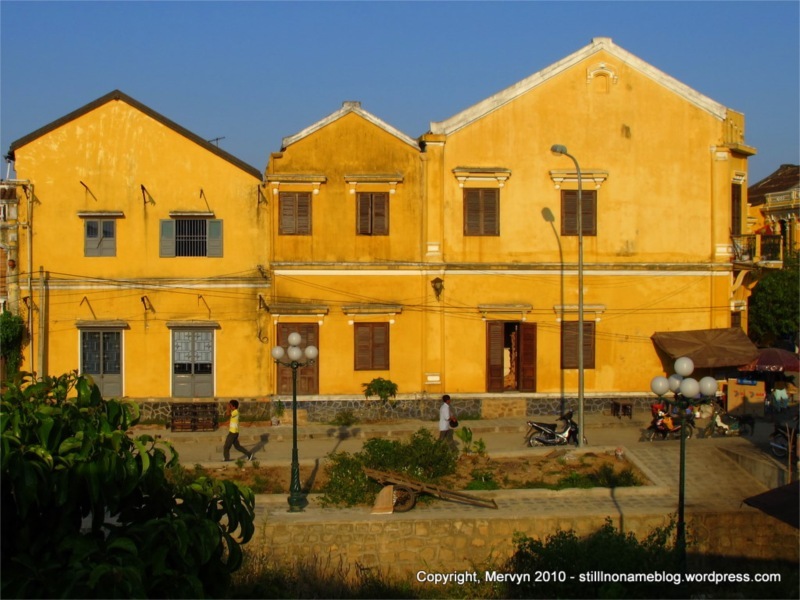 The downtown area is a mix of French colonial buildings, assembly halls, and old Vietnamese merchant houses. The assembly halls blend Japanese, Chinese, and Vietnamese architecture. They are the result of a lot of immigrant merchant Chinese groups. Each ethnic group (Fukien, Cantonese, etc.) built its own gathering place to meet and honor their ancestors. For me, the assembly halls sort of started to look like the people who’d previously occupied them—after the third or fourth they all looked alike. A few interesting notes, though. Each usually had lots of large, conical spirals of red incense hanging from the ceiling. In the center of the winding red cone hung the names of dead relatives. The incense is supposed to be able to burn for over a month, the flame smoldering its way up to the top of the spire. It’s a form of honoring ancestors. They were striking and, since every single one was lit, the assembly halls always smelled heavy of perfume. Every once in a while the ash from one would fall next to me onto the ground. A strange but fascinating tradition. I noted previously that I’m tracking the path of a Top Gear episode. 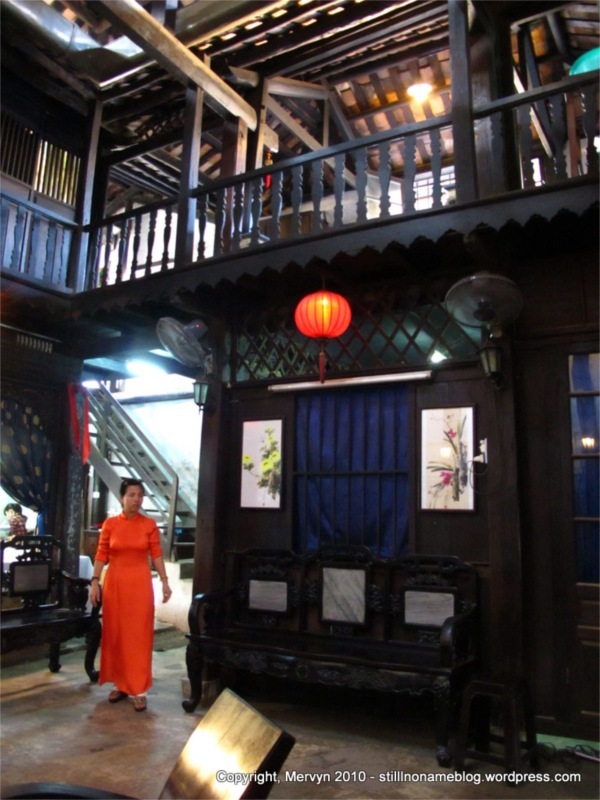 Walking through Old Town I stumbled on the tailor shop featured in the Hoi An portion of the show. I got a little too excited. I did calm down enough to snap a pic. For me, though, the rewards for walking the dusty streets lay in the old houses. 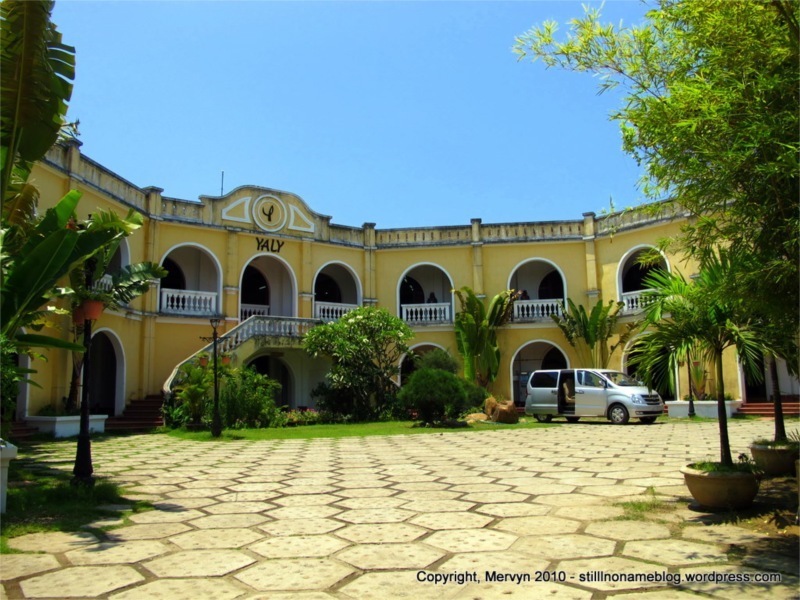 These are private residences that the families have opened to the public for viewing. They each exhibit some aspect of Old Town that’s up for preservation. 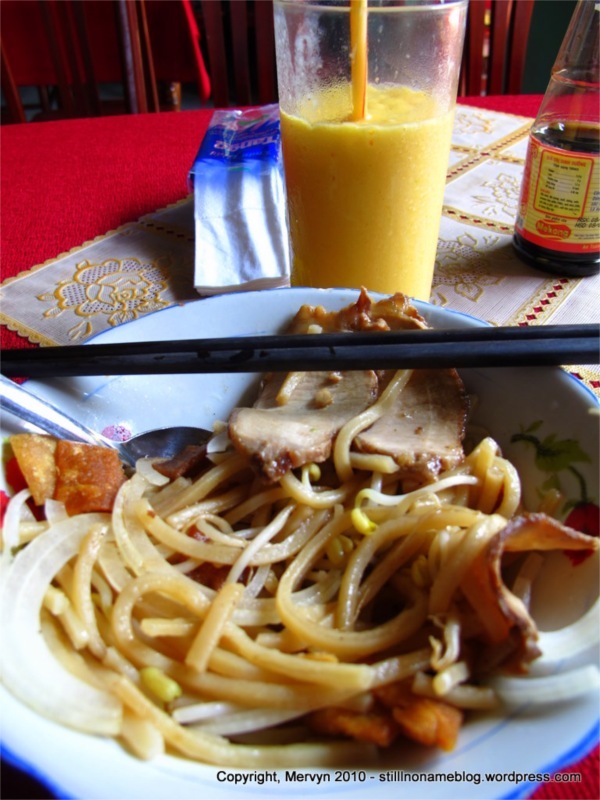 My two favorites: Tan Ky and Phung Hung. 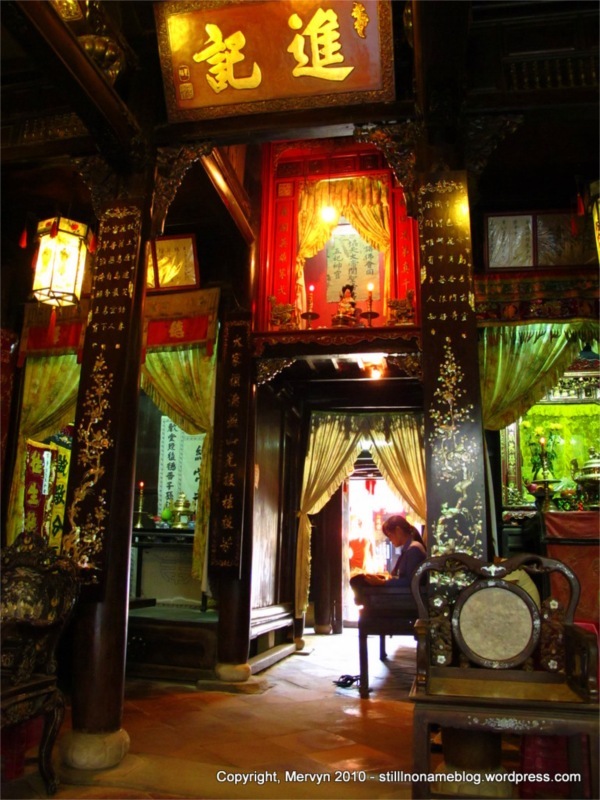 Tan Ky was built by a Chinese merchant and has remained in the family. It sits on the edge of river and every year floods during the rainy season. The guide explained that the flood helped remind everyone that possessions were not the key to happiness. If they had too much stuff, they couldn’t move it all upstairs when the flood came and they’d lose it to the waters. Best to keep material possessions to a minimum and find happiness elsewhere. Looking at the décor, this means inlaying the interior of the house with detailed art. 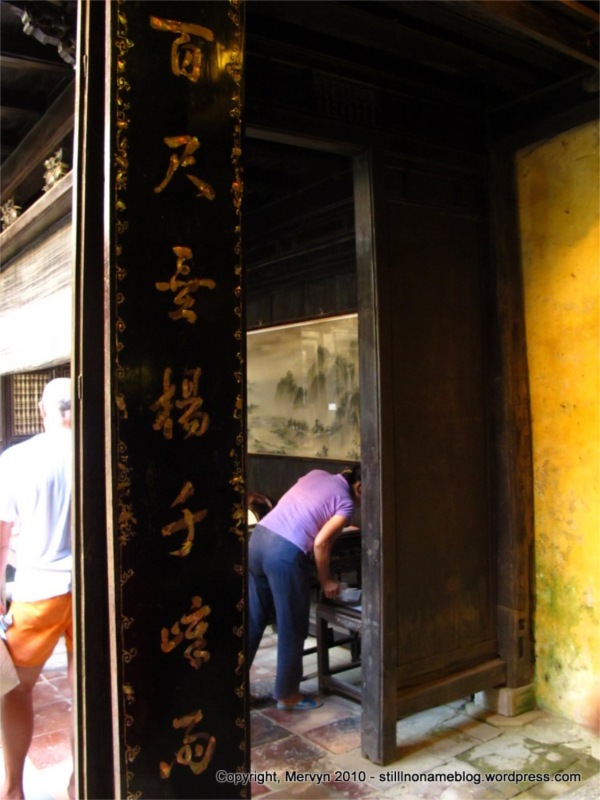 One of the artistic highlights was a series of Chinese writings on the pillars. From afar they looked like normal white characters on dark wood. 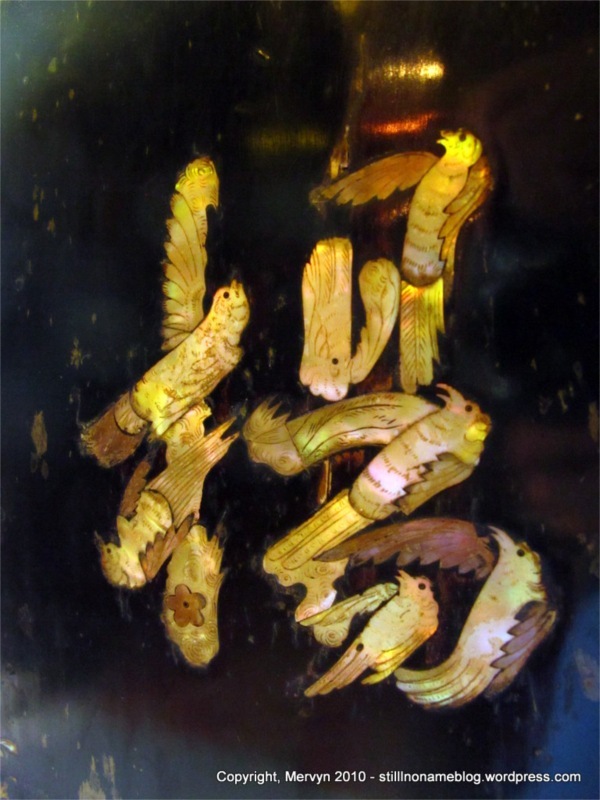 Up close, though, you saw that they were actually small, posed birds made from painted and carved mother of pearl. Those clever Chinese immigrants. 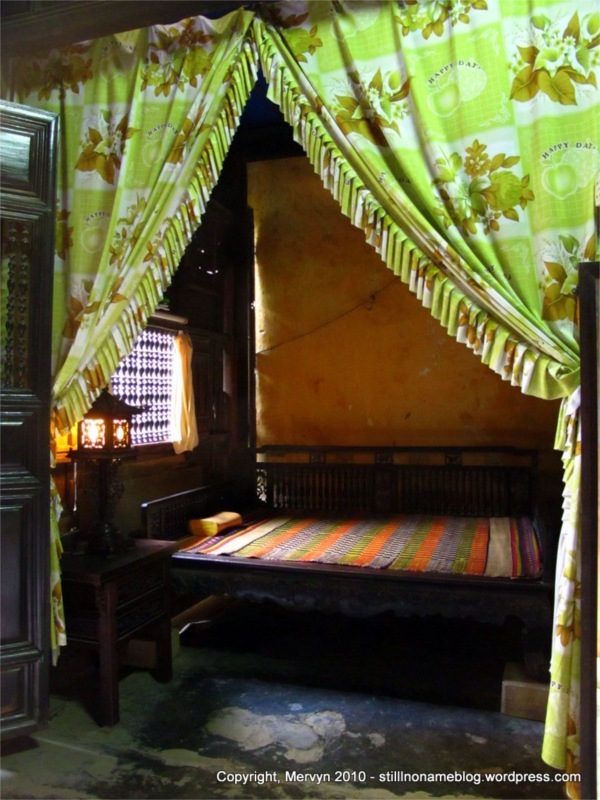 The house was still a working residence so the family slept, cooked, and lived in it. Tourists aren’t allowed upstairs, but you could see a small bedroom downstairs. The entrance consisted of an elaborate shrine to a sea deity. Not sure if it works, what with the floods every year. Perhaps it just keeps the house from being swallowed completely. The next highlight was Phung Hung, which looked like a set for a classic kung fu movie. In the middle of the house was a spot where balconies overlooked a seating area. I could imagine warrior monks flying down from above to battle drunken rabble rousers. Upstairs was a nice hanging shrine to. . .uhhh. . .someone. I don’t know because the girl who guided me through the place reciting history seemed to have had her soul removed. When she asked me if I wanted to buy something I might have thought she was mumbling to herself if she hadn’t been making eye contact. She offered me tea and even poured me a second glass, the whole time moving as if she were an automaton whose face parts had been frozen into a blank stare. 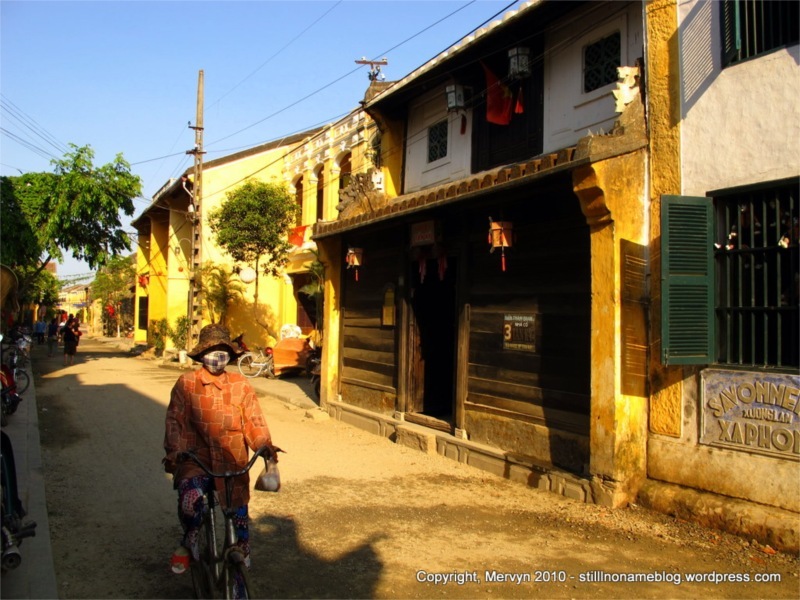 I left Phung Hung and wandered some more, but everything started to blend together. Even the supposedly iconic Japanese covered bridge failed to distinguish itself. Maybe it was the heat. Maybe it was the fact that I’d been up for 12 hours and it was only 4 p.m. It could also have been that I’d accidently gone shopping. Shopping always tires me. I’d met a tailor at lunch and visited his shop. A couple of New Zealanders there were return shoppers and were happy with the results. I took a flyer on a couple casual shirts, pants, and a coat. The Kiwis had bought some suits and dresses even as they told me that they weren’t sure when they’d use them as they were abandoning desk jobs to become dairy farmers. For the lifestyle, they said. As they tell it, everyone in New Zealand wants to be a dairy farmer to the point that it’s really hard to break into the industry unless you have connections. Who knew shoving your arm up a cow’s uterus to turn a birthing calf was so much fun? The tailor and I got along so well that we decided to meet for dinner. We hit a local joint and had various meats and fried goods wrapped in lettuce, herbs, pickled roots, and rice paper. Delicious. At 9 p.m. I begged off going out to a bar and opted to go to bed. It felt like I’d been awake for two days. Maybe that’s what it’s like to be an old person. The days seem interminably long. 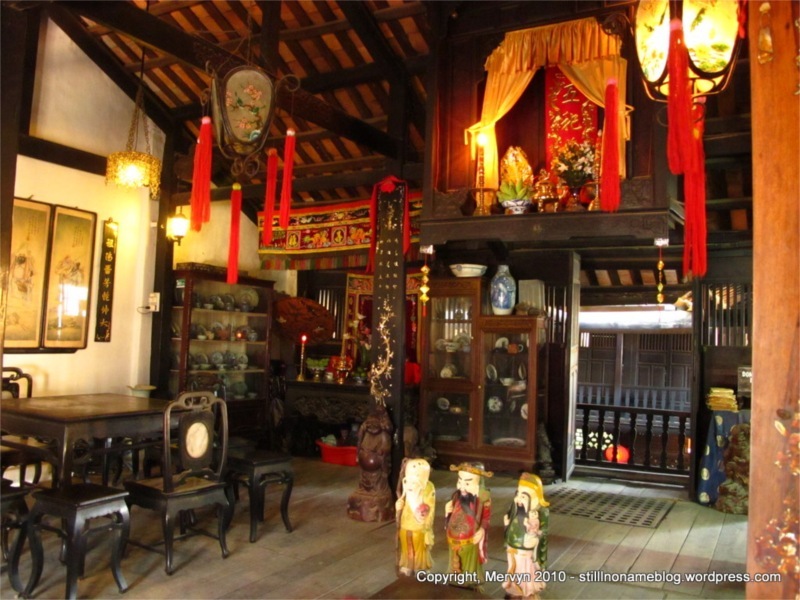 Everything starts to blend together like the Chinese assembly halls or historic houses in Hoi An. When you’re old, you’ve seen it all; nothing is new. Over time, you can’t distinguish one event from another. Yesterday looks like today which sort of looks like fifty years ago. Perhaps when you’re old, it’s all a confusing mass of blended experiences. The only response then, is to sleep and hope it all comes clear tomorrow. And that’s what I did. GALLERY: Click through to see today’s gallery featuring pictures of dragons, bonus shots of the kung fu house, snaps of a TV soap opera set Mervyn stumbled on while wandering, and more pretty pictures of buildings and food.